Here at Gran Luchito we love a good reason to throw a Mexican fiesta so bring on Cinco de Mayo! We’ve rounded up our recommendations for a Cinco de Mayo menu fit for your fiesta. Cinco de Mayo is an annual celebration held on 5th May which commemorates the Mexican army’s victory over the French in the Battle of Puebla on 5th May 1862 during the Franco-Mexican war. In Mexico it is celebrated with colourful parades, battle re-enactments, music, dancing and of course lots of food. No Cinco de Mayo celebration would be complete without Tortilla Chips and Guacamole. Here’s our recipe which uses our Tomatillo Salsa for a flavourful and fresh tasting Guacamole. Nachos are perfect for sharing and this recipe for Ultimate Chicken Nachos is loaded with delicious toppings. Be sure to check out our other Nachos recipes. Tacos are a total crowd pleaser and perfect for entertaining. Our Chicken Tinga Tacos are super easy to whip up thanks to our Tinga Cooking Sauce made with chipotle, tomato and garlic. Don’t forget to check out our other Taco recipes. These Vampiro Beef Tacos take tacos to a whole other level. With loads of melty cheese nestled in between two tortillas, it is part quesadilla, part taco, and total enjoyment. Our Fajita Sharing Platter couldn’t be easier to make and is sure to impress friends and family. Who can resist sizzling steak and veggies? Be sure to check out our other Fajita recipes for more ideas. If you’re really looking to impress, look no further! Chicken mole is certainly one of the most iconic and traditional dishes of this region. Sweet, smoky and spicy, it takes a bit of effort but it’s well worth it. Finally, Cinco de Mayo Drinks! The margarita is a guaranteed party starter. With a balance of tequila, lime and orange liqueur, it’s got a bit of zing to get you going. We are partial to the classic margarita recipe, after all it’s stood the test of time! Part beer, part cocktail, this “beertail” is not only refreshing but full of spice. If you like Bloody Mary’s then you have to try this recipe. Get your Cinco de Mayo fiesta fired up with a round of Micheladas. We hope our Cinco de Mayo menu has inspired you to throw a Cinco de Mayo fiesta for your friends! 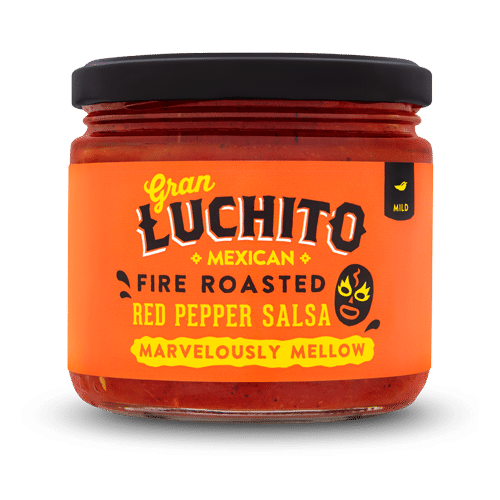 We would love to see how you get on, don’t forget to tag us #granluchito.